When the 2018 Edition of the festival has not yet finished, Rock Fest Barcelona already has date for its sixth edition. It will be on July 4-7th at the Can Zam park in Santa Coloma de Gramenet. An extended edition of four days with a bill that will start being revealed during next month. 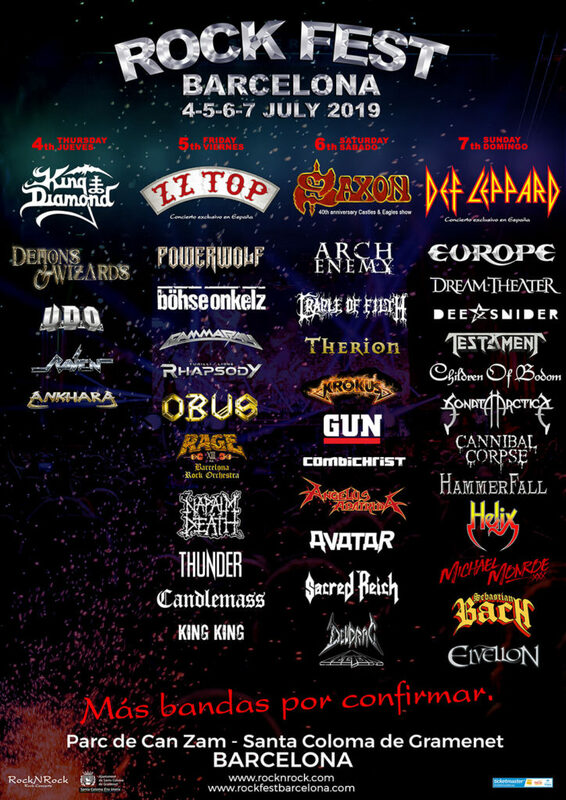 It will be the continuation to a fifth anniversary that has been highly succesful and the peak of the festival up to this point, with massive support from rock and heavy metal fans coming from all over the world. Four-day passes for the festival are now available at the official merchandise stand of the festival at a price of 140€ + fee and the Ticketmaster network (Fnac, Halcón Viajes, Viajes Carrefour) The price will remain until 15 August 2018.